China’s unassuming third city nurtures homegrown trends and proves to be a petri dish for the country’s contemporary sartorial tastes. Standing outside a café in downtown Chengdu, one woman is engaged in her own personal photo shoot, shimmying and pivoting to ensure that the sunlight catches her translucent skirt. Spotted, she shrugs and half-smiles before turning her focus to the results on her friend’s smartphone. 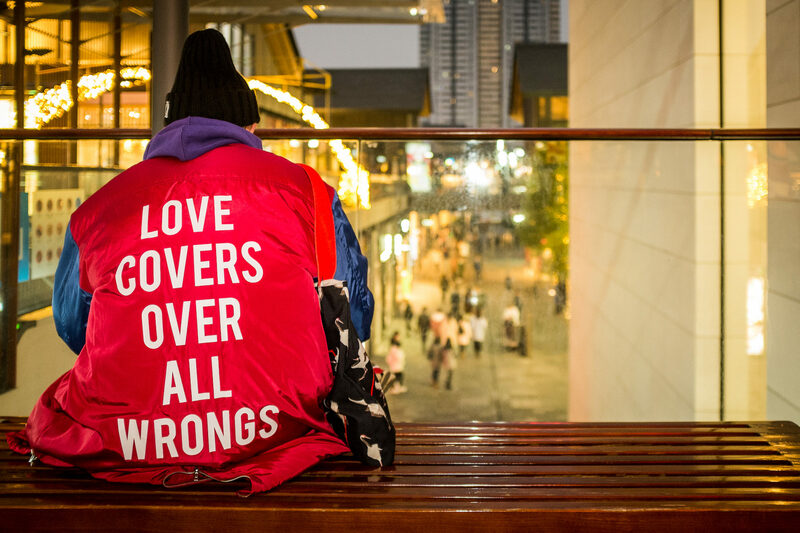 She has no reason to feel self-conscious; after all, she’s not the only one peacocking next to the glass-fronted designer megastores in Sino-Ocean Taikoo Li. The onetime site of a Buddhist monastery turned alfresco mall, it’s now a temple dedicated to a different doctrine—that of contemporary style. The setting’s appeal lies not just in the blue-chip shopping (Hermès, Cartier, and Gucci have stores here), but in the chance to tout one’s personal style—peak ’90s baggy silhouettes (think “Waterfalls”-era TLC), with layering and eccentric accessorizing reminiscent of heyday Harajuku, even vintage Madonna—in an endless stream of social media snaps. Set against a gleaming backdrop, sidewalks playing the role of runways, these Chengdunese women won’t mind if you stare. They’ll just smile, and keep shooting. 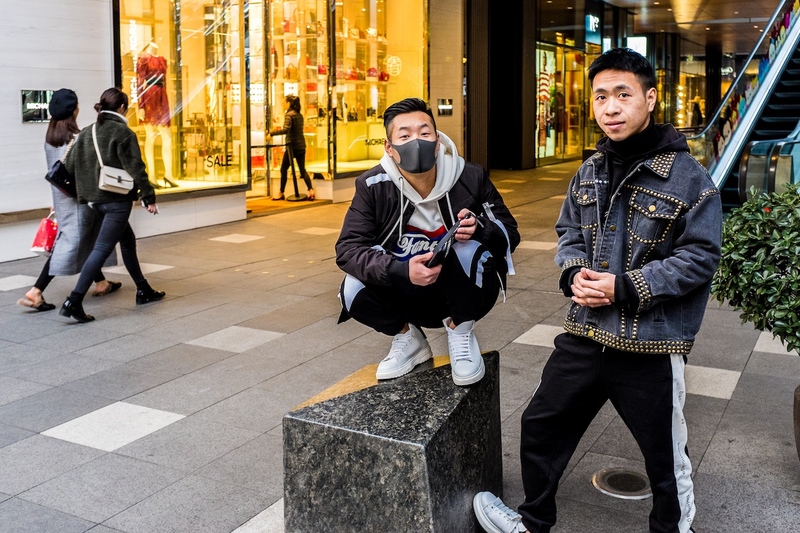 Chengdu’s fashion-forward millennials have become the most visible clue to the city’s unofficial new status as China’s capital of cool. Beijing and Shanghai grab headlines, but to truly understand cutting-edge China right now, you’ll need to take a trip inland to this oasis in Sichuan. 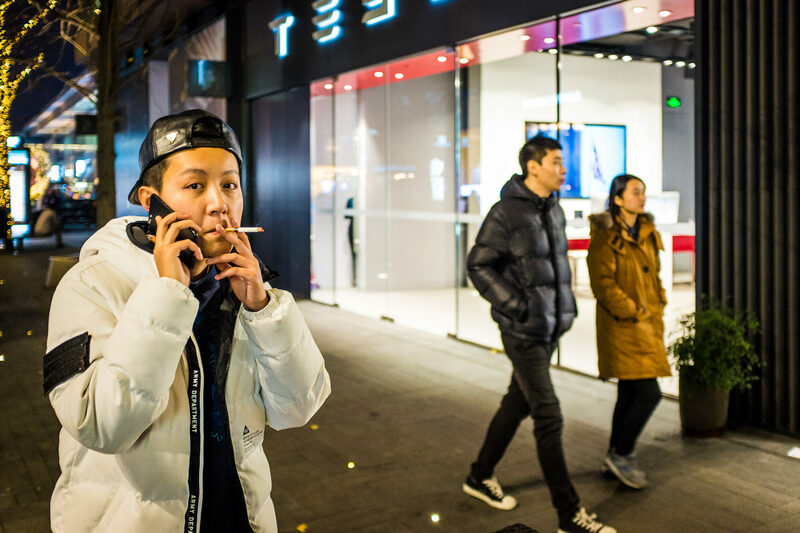 What’s hot in Chengdu today will be adopted by the rest of the country tomorrow—and yes, that includes both the wonks in the actual capital and the fast-living cosmopolites on the eastern coast. Though a fairly recent phenomenon—Chengdu burst in the larger world’s consciousness within the last decade—the city was well primed for its pole position as China’s tastemaking hub, beginning with a fluke of geography: Chengdu is the only major city in far western China, a sparsely populated area that includes more than 70 percent of the country’s land, but barely a third of its population. The city itself claims about 8 million residents (or just over 14 million if you include its larger administrative area), with 80 percent of them between the ages of 15 and 64, according to census data. Young people from regional centers like Kunming, Yunnan, or Gansu keen to broaden their horizons as artists, fashion designers, stylists, and musicians have been siphoned off to this city, as if caught in a vortex of could-be-coolness. They’ve been able to remain, and create communities here, because Chengdu still retains some aspects of a provincial city, notably its low overhead: Rents here can be significantly lower than comparable apartments or commercial spaces in Shanghai—a fact that, combined with the local scene, gives the city more than a whiff of Berlin in the late 1990s. Financial logistics aside, Chengdu has also drawn the creative classes thanks, in part, to its reputation for laidback tolerance in comparison with the rest of the country. Indeed, Shanghainese cynics often snark that there’s a reason the lazy, docile giant panda feels so home at home in Chengdu. (Of the 1,800 or so of the bears remaining in the wild, 80 percent live in this province, making panda-spotting the city’s central source of tourism, both domestic and international). The subtropical climate has slowed down the usually breakneck speed of Chinese life: it’s a city of teahouses and taking things slow. “It’s in our genes, in people’s blood—we don’t like to work too much, we want to enjoy life,” explains local style blogger Zhang Pu. The result is a casual, cool, open-to-anything vibe. This aspect of acceptance also helps explain why there’s such a disproportionately large and high-profile LGBTQ community; they live so openly here, the city’s earned another unofficial nickname: Gaydu. But that laissez-faire attitude is perhaps best expressed in the city’s sartorial sensibility. Fashion has long been fundamental to Chengdu, and vice versa. In the imperial era, with its location at the starting point of the Southern Silk Road, it was highly prized for its intricate Sichuan embroidery, and earned the nickname Brocade City, for the volume it produced. The story is artfully retold in a local museum dedicated to the history of the craft, which sits in a new riverfront building filled with functional, vintage weaving contraptions (and very few visitors). That’s because Chengdu’s transformation is centered on more forward-thinking fashion ventures. 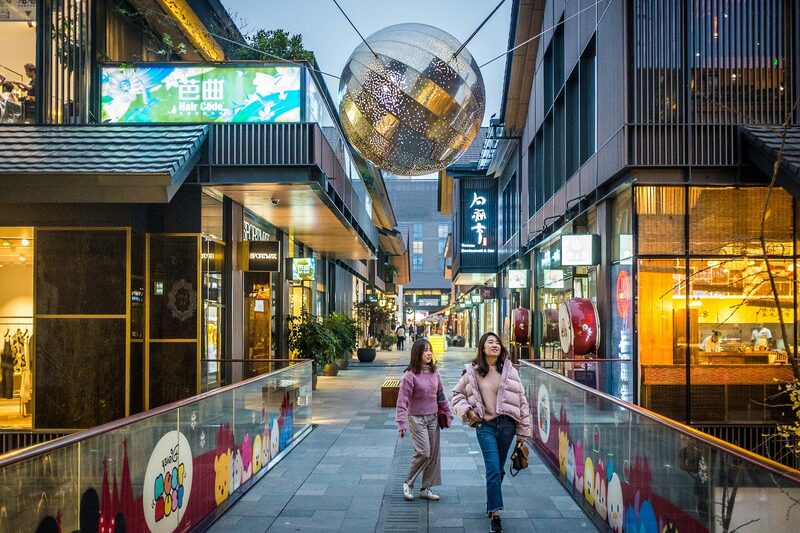 As with every major Chinese city these days, foreign brands have colonized the province’s high-end retail landscape, though few locals seem to chafe under the aesthetic imposition. (It’s a mark of the city’s significance that Chanel staged the China showcase for its resort collection here in 2017, instead of in Beijing or Shanghai.) 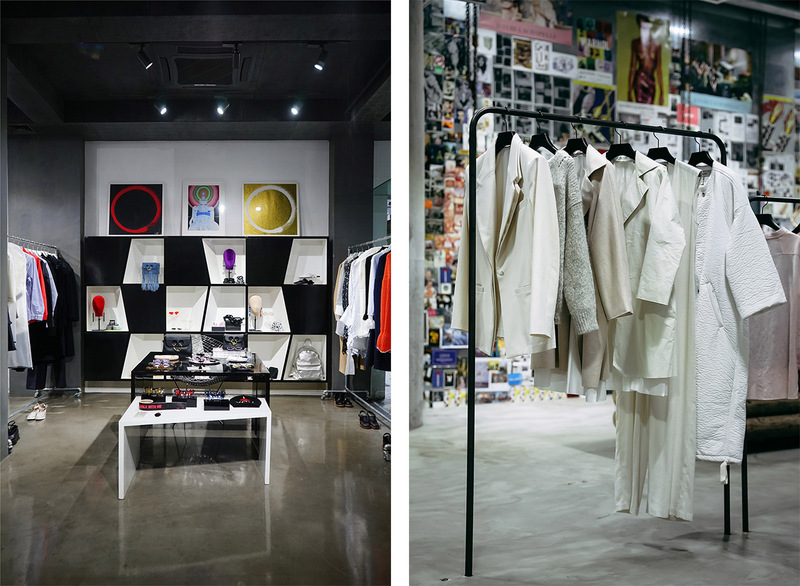 More intriguingly, though, Chengdu is home to a thriving subculture of locally owned independent boutiques that stock a blend of homegrown and edgy international brands—spaces that wouldn’t look out of place in Antwerp or Paris. 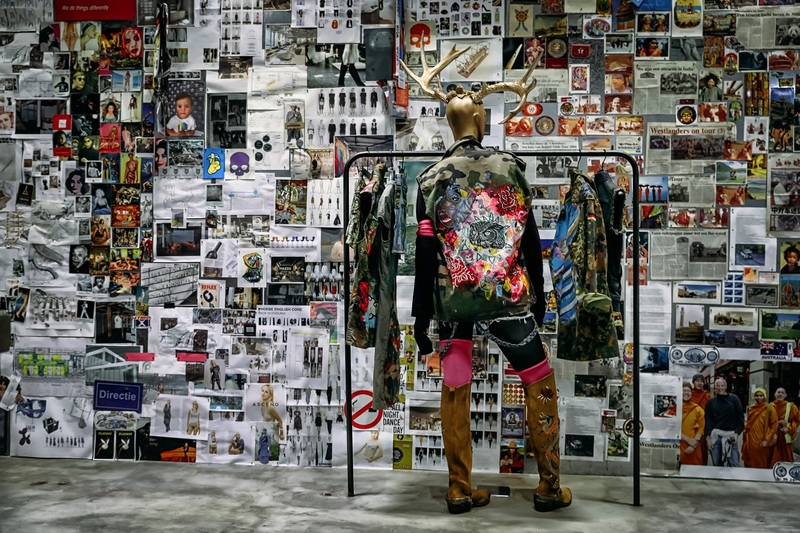 It’s these stores those women (and a few men) sashaying around Taikoo Li use to truly flex their tastemaking muscle: think bright colors, in hair as well as clothes; plenty of tattoos; and a streetwear-dominated silhouette. 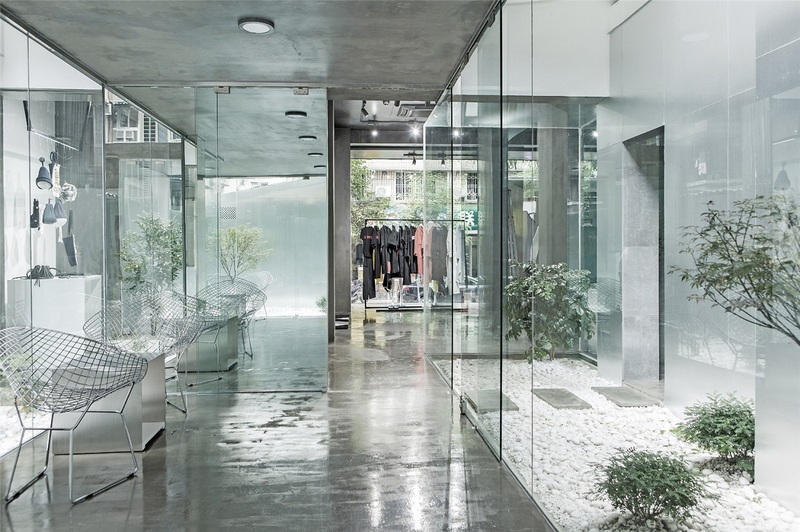 Ritchie Chan launched the third branch of his concept store Triple Major here, after opening outposts in both those cities; he calls the Chengdu site, a few minutes’ walk from Dressing for Fun, his “test-tube store,” a place where he can to workshop upcoming trends. “People here are very open to standing out in a crowd. Everyone’s so relaxed, there’s no pressure and you won’t be stared at if you wear louder stuff.” They’re also committed to spending whatever it takes to get the look. She invested in Concert with Frank Vollebregt, her rangy, Dutch-born boyfriend, who manages the brand side of things. He exudes a crackling energy; the only thing that seems to tamp him down is the cigarette omnipresent in one hand. Vollebregt was lured here expressly by the vitality he witnessed, embodied by those locals posing for pictures on the sidewalks at Taikoo Li. Having worked in fashion (retail, branding, wholesale) in Europe, Vollebregt was mesmerized by the homegrown style he saw on a visit here. “Chengdu girls have always been famous in the whole of China for being the hottest in some way,” he laughs, as Hannah Q looks wryly over at him. They’re sitting together on the patio of the café outside their raw concrete store, finally able to relax after five years working to raise capital to open the enormous, Dover Street Market–like space, which stocks western brands like Anne-Claire Petit and Ligne Blanche alongside Chinese names such as Mr Lapin and Hollow Coast. Even on a weekday afternoon, it’s busy. Vollebregt has ambitious plans to rapidly expand the Concert brand, and has no doubt that he’s picked the right city to start in. Cathay Pacific offers regular service from several cities stateside (Boston, Los Angeles, Chicago) via its hub in Hong Kong. Uber recently withdrew from China, and most ride-hailing apps require a local bank account for payment, but the cheap, new Metro system makes transport easy; operations are in Mandarin and English. The best place to stay is The Temple House, which sits adjacent to Sino-Ocean Taikoo Li in the heart of downtown. The 100-room hotel co-opts an old Qing dynasty courtyard as its entrance, leading to a gleaming new tower with huge rooms and great city views. Pack a bathing suit—the skylight-lit subterranean pool is a showstopper. Alongside Dressing for Fun, Triple Major, and Concert, check out concept store Sihe Four, which focuses on wearable contemporary womenswear by the likes of Chinese Label Ricostru. At the Taikoo Li complex, skip the blue-chip Western brands and seek out Augusmith, a jeweler where goldsmiths work on the wooden bench in the window, and Fang Suo Commune, a bookstore that also sells knickknacks. 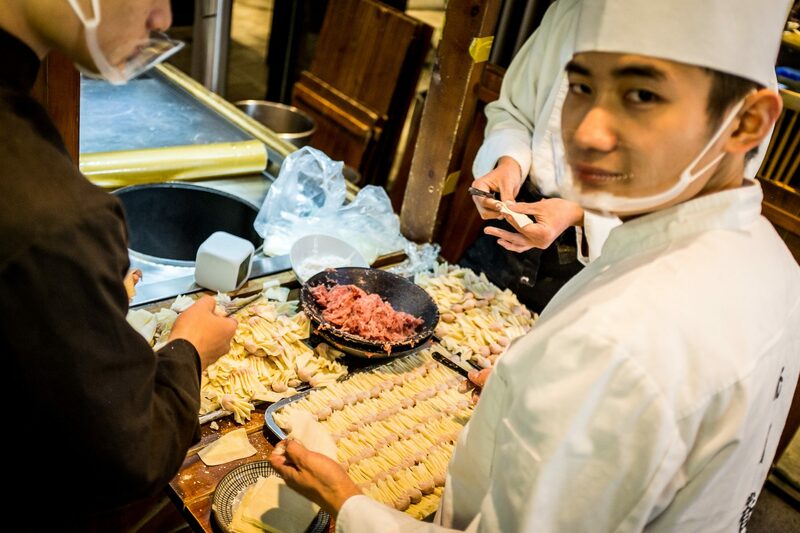 “Chengdu measures the day in snacks,” explains expat Canadian Jordan Porter, owner of Chengdu Food Tours. 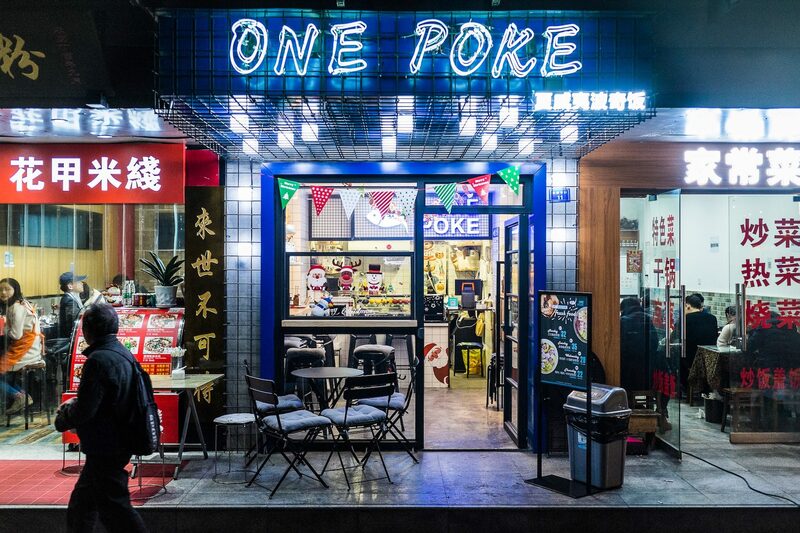 Book a three-hour walk with him to explore the city’s markets, street-food stalls, and local delicacies, such as guo kui, a pita pocket–like Sichuan specialty stuffed with shredded beef and a spicy, vinegary sauce. Get the shrimp balls at Ma Wang Zi, an always-bustling café, and sit for a meal at Gui Mian, one of the so-called “private kitchens” for which the city is well known. What they lack in atmosphere (they’re just a few tables set up in someone’s home) they make up for with exciting morsel-sized courses. The best place to try hot pot, a bowl of bubbling spicy broth in which you cook tofu, meat, or fish, is Da Miao, where live Sichuan Opera is performed to accompany the meal. Singapore-born DJ Donn Wong was brought on to help convert former hip-hop venue NASA into a cultural hub. Find the new coworking space/studio concept Base & Co and club—split between main room, Nox, and the Nomad VIP area—housed in the basement of 339 shopping mall under the West Pearl TV tower. For cocktails, try Jing (at The Temple House) or the whiskey-focused VAT Committee. Can smart branding build the first legal weed empire?